the Flexisander Pneumatic Sander is an all-around tool without compare. 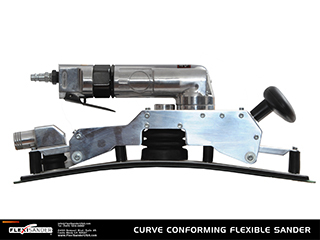 Its 16.5 x 2.75 inch base provides a progressive flex that allows for smooth and precise sanding in most conditions. hugging the surface in a smooth, effortless manner while providing the precise contour through the curved surfaces.